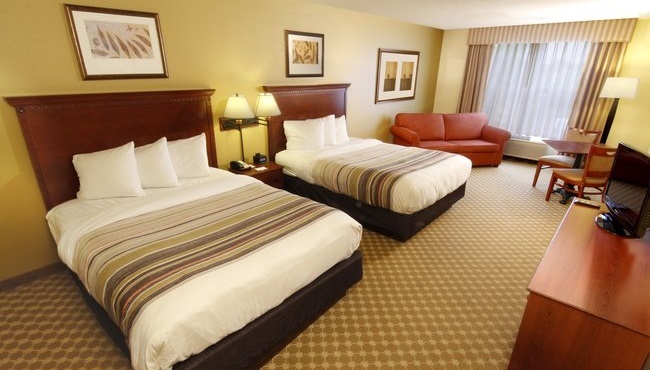 At the Country Inn & Suites, Crystal Lake, you can settle back on the triple-sheeted bed, open up a chilled beverage from the refrigerator and catch a game on Fox Sports. 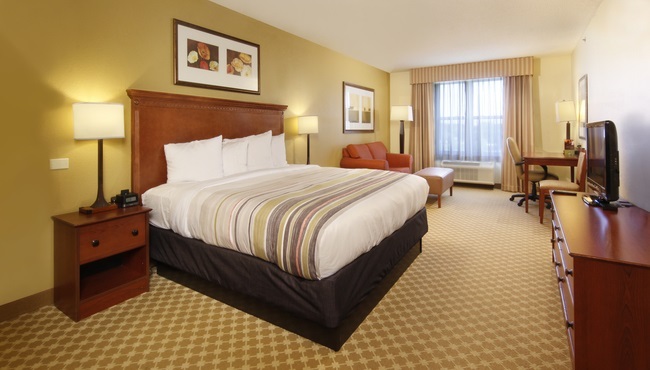 Our hotel’s free high-speed Internet access allows you to stay connected with work and home, and an in-room coffeemaker provides the fuel you need for a busy day. Traveling with kids? 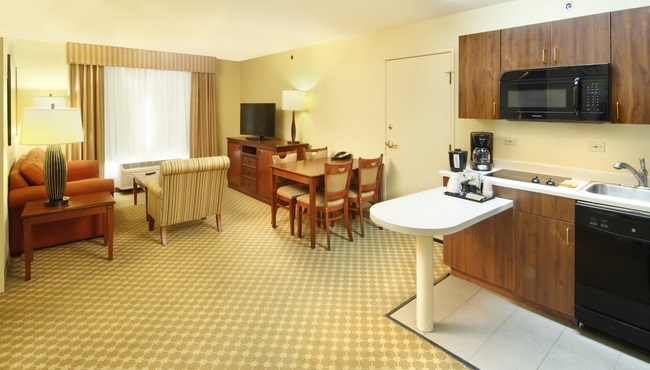 The in-room microwave is perfect for making snacks, and children 18 and under stay free in the same room with an adult. 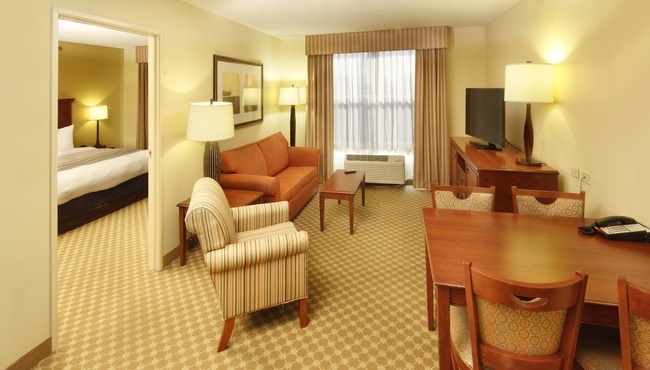 If you need some room to stretch out, consider booking one of our Extended-stay Suites. 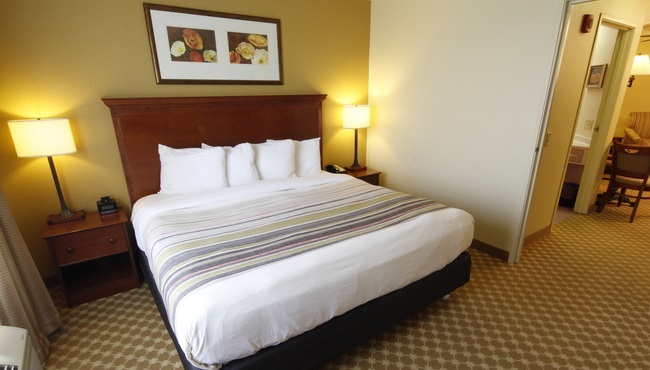 Choose one king bed or two queen beds and enjoy all of our standard amenities, including a refrigerator, a microwave, a coffeemaker with ceramic coffee mugs and free high-speed Internet access. These suites are ideal for corporate travelers and offer one king bed or two queen beds, a separate living room with a sleeper sofa, a wingback chair and two televisions. 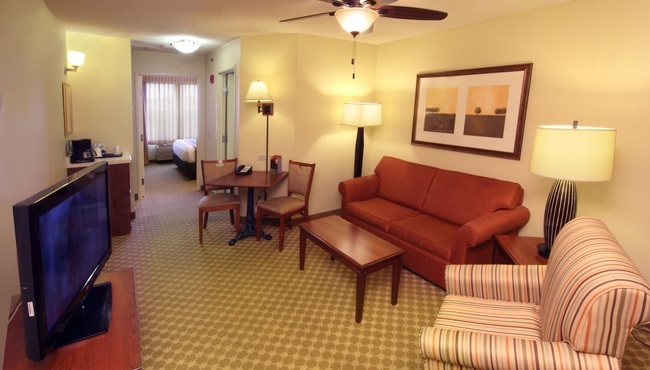 If you are in town for an extended stay, save time and money with a full kitchen in our Extended-stay Suites. In addition to extras like a sleeper sofa and a dining table with chairs, these suites feature one or two private bedrooms, each with its own television. 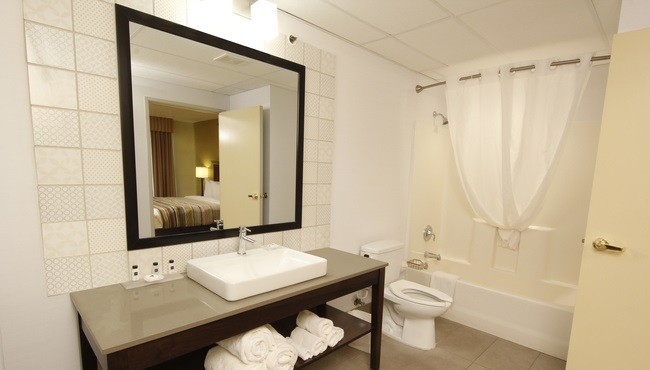 Equipped with a whirlpool for two and a beautiful iron four-post king bed, these suites are just the spot for a romantic getaway. To make your stay sweeter, we also provide bubble bath, a CD player, robes and breakfast trays for that long-anticipated breakfast in bed.